2 Comments on Happy Anniversary Halo! $39.99! Not bad if I say so myself! Monument celebrating 10 years of truly epic gaming! cool I know Cabxyz is loving it I’m to caought up in Skyrim right now or I would be playing it too.. 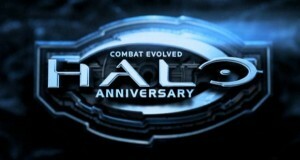 I have purchased the Anniversary Edition of Halo: Combat Evolved. I’m impressed with the campaign so far, but it’ll probably be a little longer before I’ve fully explored the multiplayer aspect. I’ll let you all know soon!